Some time back, I wrote an article about forging an illusion - how to use perception to hide the blocks behind a theme or structure. But then GodlyPerfection came along with his new map Affinity, and changed my view of how best to use the Forge World palette. In my earlier article, I described how the forger needs to use a person's perception to create a place or structure that when one looks at it, they immediately recognize what it is, they see only what it is, and they don't see the blocks that make it up. This requires quite a bit of artistic talent and understanding of how to bend perception. Quite often, a structure's dimensions or shapes are exaggerated to lock a person's perception onto an idea rather than what they actually see. 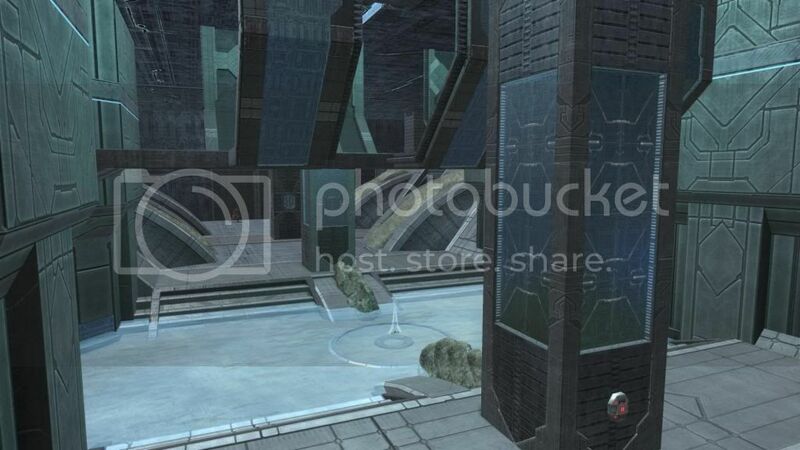 But then GodlyPerfection created Affinity, a map built around some early Halo architectural features. The moment I saw Affinity, I instantly realized that my attempts to forge an illusion were not quite on the mark. Though such an approach is honestly acceptable and valuable, there is another way to think about approaching the creation of new forge works. 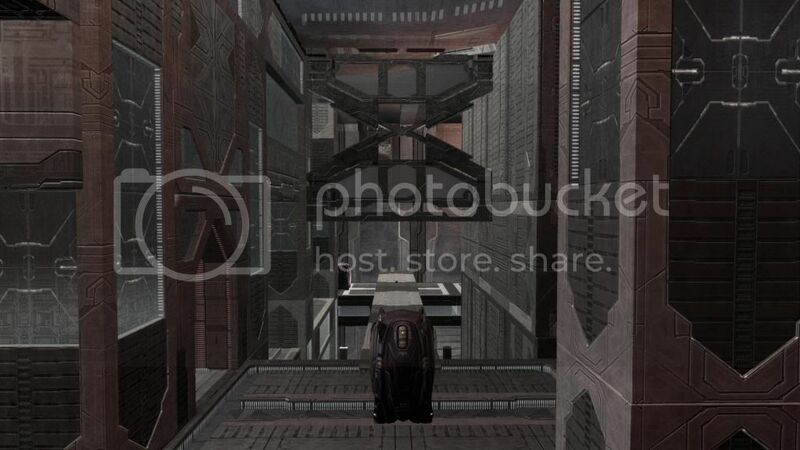 Bungie created blocks that were geared toward Forerunner architectures, and Godly created a home run by exploiting the blocks' features, rather than hide them behind an illusion. Some people have complained about his map not having adequate tactical paths and such. 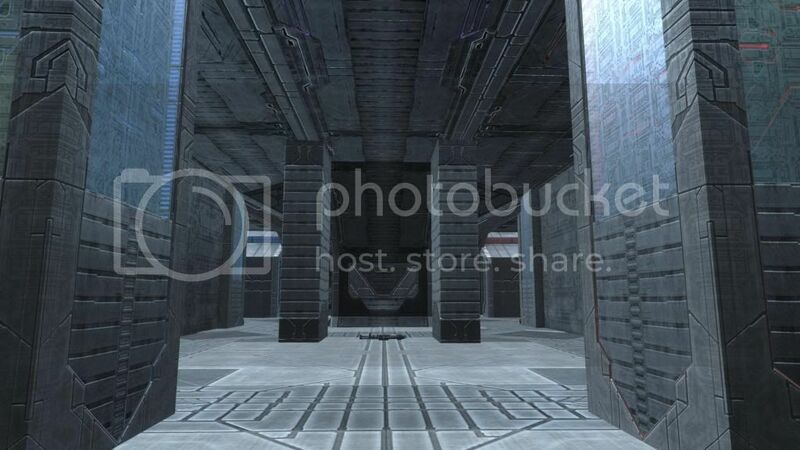 But in the light of Halo and the Halo theme in general, his map fit in better than any other I had seen. Because of this fit, I felt it was the best map I have seen forged to date. As I mentioned in my previous article, too many maps are created these days in which they look like a pile of blocks. I used to call them path maps, because they were all the same. They all had paths that lead everywhere, just differently. Most looked like just a pile of blocks. Affinity didn't look like a pile of blocks. And it didn't hide the blocks behind an illusion of a modern structure. 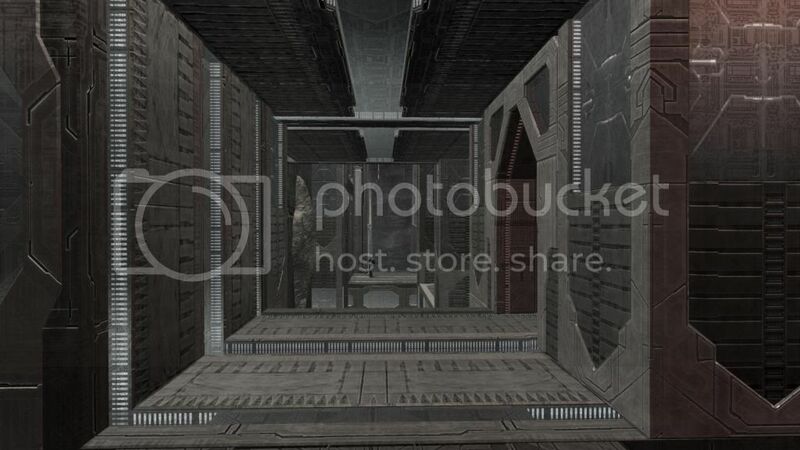 Rather, it drew from and relied upon the blocks to look like the interior of a Forerunner structure, with its majestic columns, long corridors, gentle ramps, and occasional narrow passage ways. 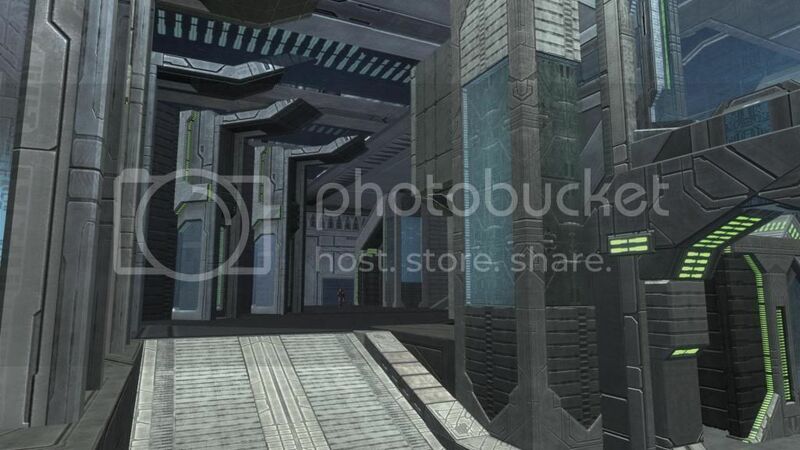 Looking past Affinity, I found very, very few maps that played on the Forerunner theme in any similar manner. Those that I found I give some screen shots of worthy note here. This map feels like the Forerunner to Dante's Inferno. Its appearance almost seems like it is in the crypts of hell with an ancient and sophisticated structural design through out. EightBall maps tend to show a lot of artistic talent. 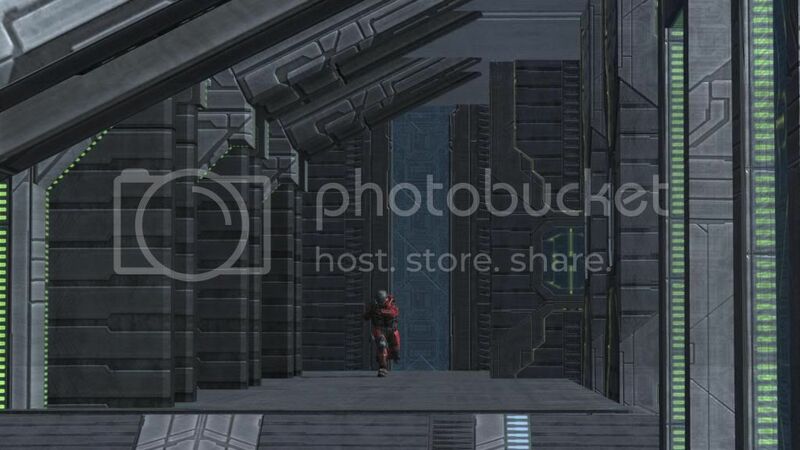 Here we see tall pillars and a suspended walk way that each give a Forerunner impression. The pool below is the classic EightBall picturesque touch to polish off the map. 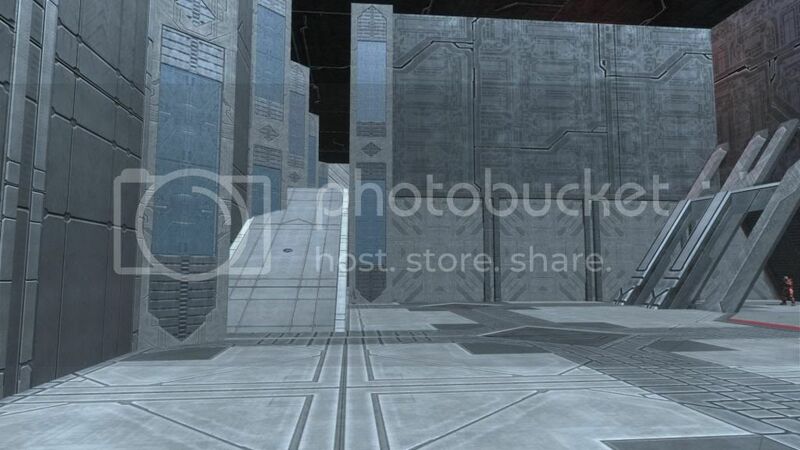 Not only did I think Citadel was the only map that was worth trying to remake on Halo: Reach, but TimmyPanic's intense attention to detail has brought this map to what may become my number one favorite from the community forge. 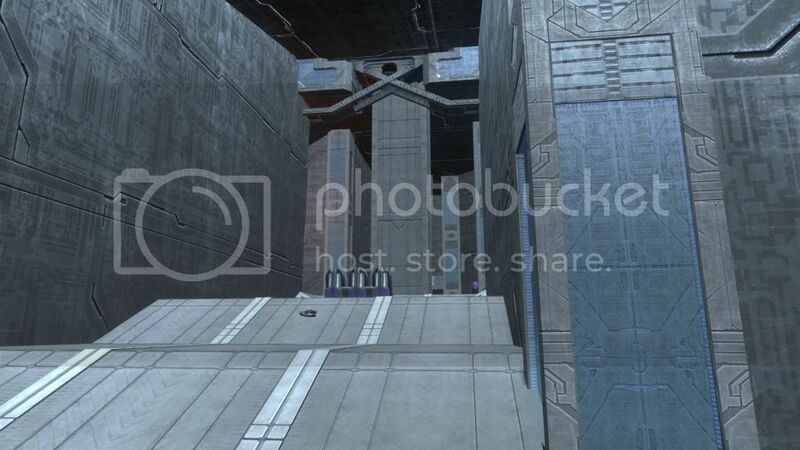 Of course with most any remake there will be Forerunner architecture through out. But TimmyPanic exceeds expectations with precision engineering. Not only are the blocks contributing to the decore, but they shout color more than most and with a healthy balance through out. 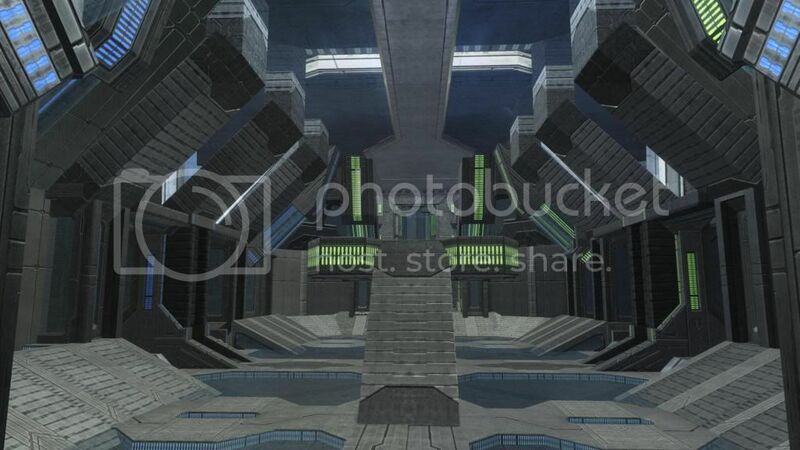 And perhaps my most favorite screen shot of Forerunner-esque to date is the central room in Citadel. I love playing on Flight Deck, Exodus, Pirates of Paradiso, Exalted, and a few others, because they take me somewhere and are fun to play on. They don't look like a pile of blocks! But now my passion is to design around Forerunner architectures. For me, these make playing Halo feel like Halo once again.